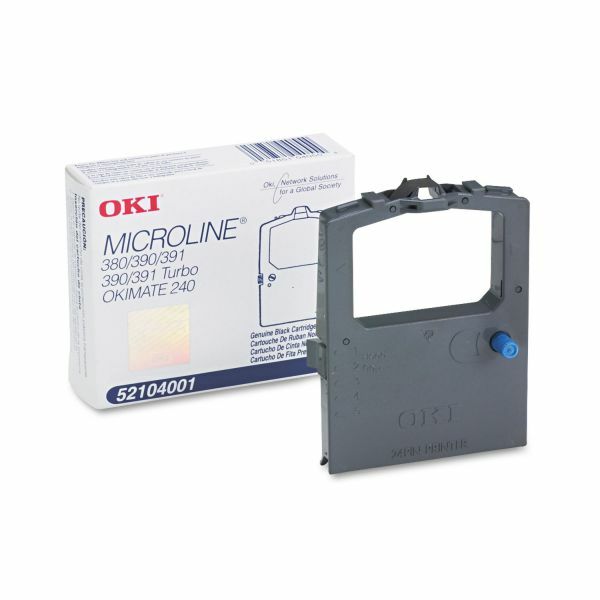 For use with Oki® Microline 380, 390, 390 Plus, 391 Plus, 390T, 391, 391T and Okimate® 240 printers. Oki 52104001 Ribbon, Black - Printer ribbon is designed for use with Burroughs AP1337 and 1339; Oki Microline 380, 390, 390+, 390T, 391, 391+, 391T and Oki Data 240 printers. Ribbon yields approximately 2 million characters.